You and a partner are going to create a public service announcement (PSA) or tutorial about seed saving. Each table group gets to decide how to break up the tasks, but your group needs to do BOTH a PSA and a seed saving tutorial. So split up the work. We'll be using Adobe Spark. You can log in through Google with your school accounts. NOTE: Adobe Spark changed the policy recently to only allow 13 year old folks or older. So make the year to reflect being at least 13 years old. Make sure the "M" in the URL is capitalized to make it pop. ​You must include the campaign logo. Click here to get a JPG of logo. 3. 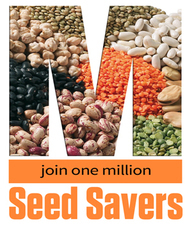 Includes logo for One Million Seed Savers' campaign. 4. Content is exactly 30 s or 60 s. Adobe Spark will add a few seconds, but the content must be exactly 30 s or 60s. There is NO time limit on the seed saving tutorial. MAKE A COPY of your Seed Saving Tutorial Storyboard. Below are seed saving resources to help you with your tutorial. The main resource you will want to start with is the Super Easy Seed Saving Handout. Make sure your tutorial answers all of the questions on the feedback form. Q: What if I don't have computer access at home? A: The Adobe Spark program is also a phone app. You can also come in during advisory. Just let me know ahead of time so I get computers. Q: Does the video have to include the slogan? A: Yes. All One Million Seed Saver PSAs must include the same slogan. Try to have other similar messages or wording. It makes for a stronger campaign. A: No. Although you own it, you do not own the rights to use it. Adobe Spark has a wide range of open source music. You may also get "royalty free" music at Creative Commons. Q: Can we use pictures from the Internet? A: Adobe Spark has images that are open source. If you use images from the Internet, they must be open source. Creative Commons is another way to find images. Q: Can we make a stop motion film? A: I love stop motion too, but I highly discourage it for this project since you are getting 1 period to create, 1 for peer review and 1 to make final edits. Stop motion can take hours and this will have to be done on your own time during advisory. Q: How do I share the video or PSA? A: Videos are saved on Adobe Spark. Make sure you publish them, then you need to put the URL on the shared document of projects that I emailed you. If you use another program for making the PSA or tutorial, then save it as a Quicktime or .mp4 file and bring in on a flashdrive. Q: Can I get help from other people in different classes? A: Yes. You are trying to create a movement. If you have others that support your vision (or maybe they are just friends and want to help you out), that's fine. Q: Is there any way that we are supposed to divide the task up? A: There is no correct way to divide up who does the PSA and who does the seed saving tutorial video. However, discuss it and document how each member of your group contributed. Q: If I want to work alone on the PSA or tutorial is that okay? A: Yes, you have a choice to either do this project alone. However, your group must produce at least one PSA AND one educational video on seed saving. Gift the message with a gif. Use gifs.com. 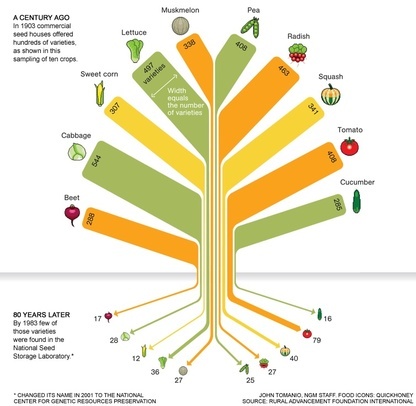 Planting Seeds Project Overview (NEW version - in process of editing this) - I'll be spending more time on this over the summer adding in genetics and aligning it more with NGSS. I'm happy to answer any questions you have as I would love other teachers to use this unit. I can be reached at rnewburn@lcmschools.org.